January Sewing: The First Baby Blanket of the Year! Plus Ellie’s Cornsack Reincarnated! 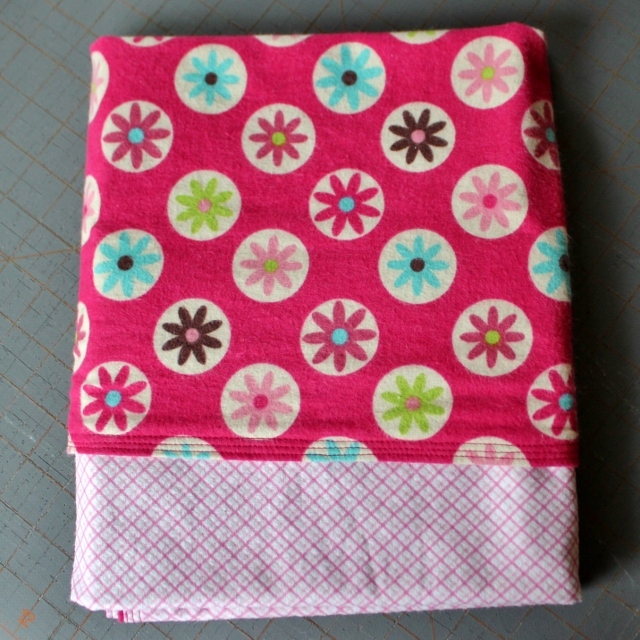 My friend Heather is having a baby girl and to celebrate, I made her this baby blanket. Yes, that’s the same fabric as Ellie’s pillowcase and corn sack. Back in the days before we all had kids, Heather and I were part of a sewing club that met in the summers (because we were all teachers). We helped each other learn how to sew. 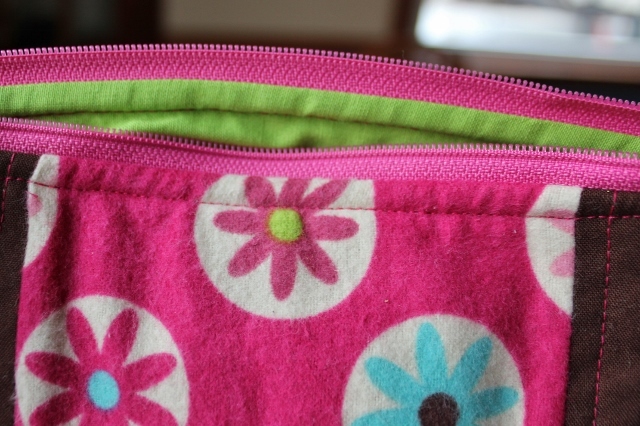 The Tabitha bag is the last project we all sewed together. Since then, we’ve made quilts for each other’s babies. Sewing Club is sadly a thing of the past. Twelve kids between the five of us makes getting together a bit difficult! 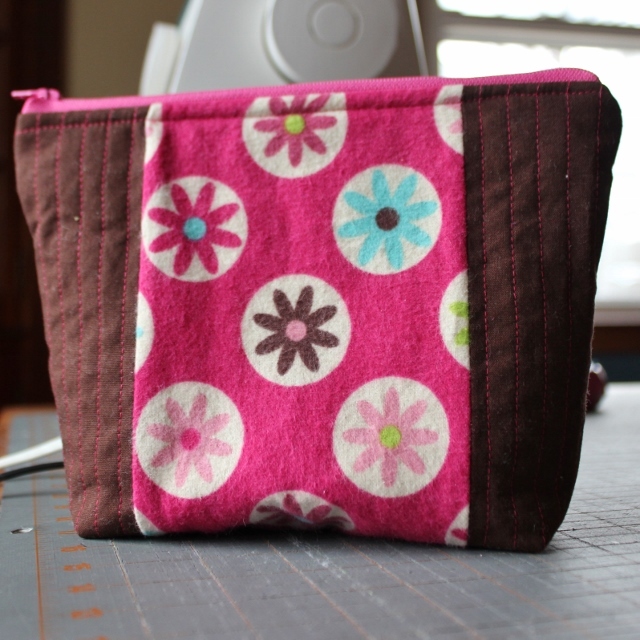 Anyway, to go with the blanket, I decided to make her a little pouch, from this tutorial. I had chosen a bright blue for the exterior solid but decided it was too bright. 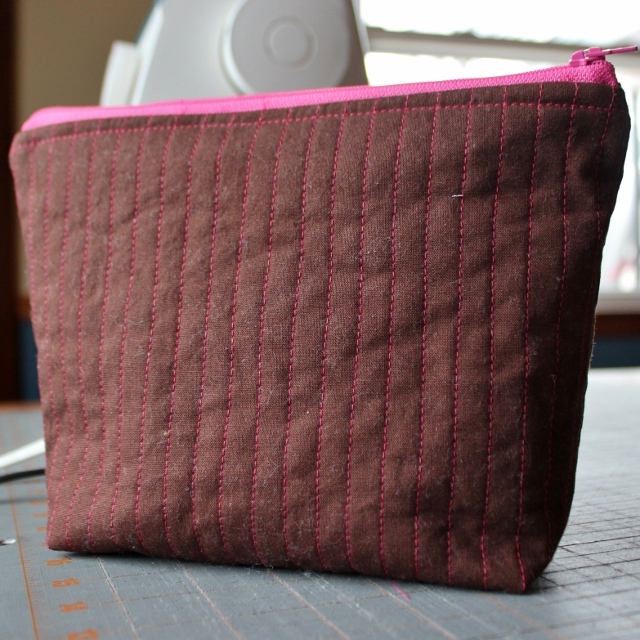 Then I had the great idea, “Oooh, choose brown to play off of the slight brown accents.” So I did, quilted it in pink and here’s the result. Only after finishing it did I realize that I had exactly recreated Ellie’s corn sack, except in pouch form, with no corn. So much for my original idea! 🙂 I did line it with a super bright green, which I find nice and cheery. We can’t wait to meet your little girl, Heather and Ryan! 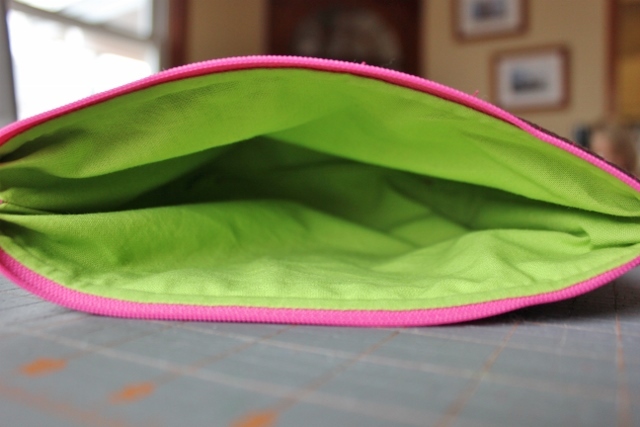 This entry was posted in sewing. Bookmark the permalink.